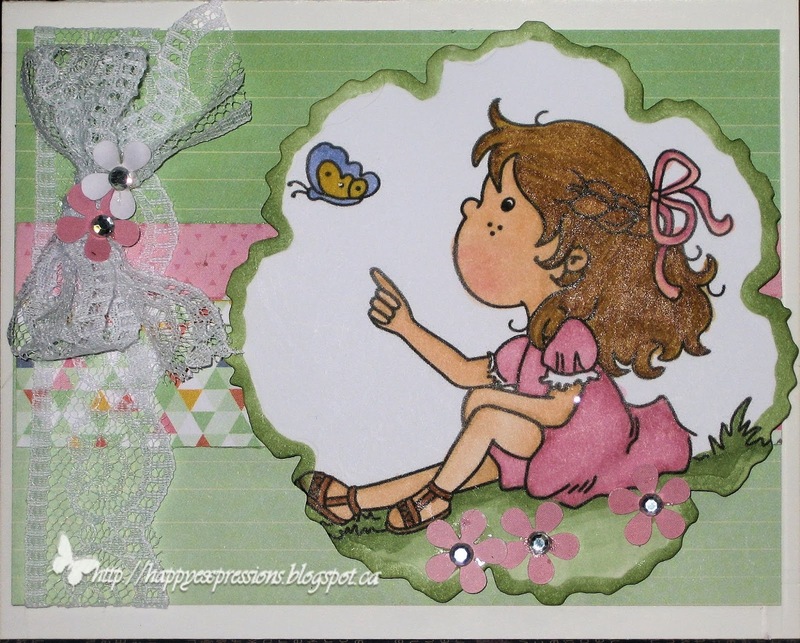 Our sponsor this week at the Fairy's challenge blog is Crafty Sentiments Designs. I printed this girl image onto neenah cs and colored her with copic markers. E00,000,21,37,31,35, YG 61,63, R20,81,83, Y19, V2. I used the flower spellbinders to die cut around the image. The card base is neenah white, DSP is from the American Crafts lucky charms pad. I have quite a bit of lace so decided it was time to use it in my cards. One layer was glued to the card and then I made a bow for the top. I punched some flowers with a small recollections punch and added a rhinestone in the centers. I will add this card into these challenges. Very sweet image and your card fits our Green challenge perfectly at Creative Corner Challenges, thanks for sharing this week. I love how you used the die cut for the image and the colors are perfect! Thanks for joining along with Jo's Scrap Shack.